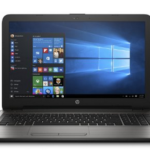 HP 15-F211WM , which is a 15.6-Inch Touchscreen Laptop outfitted with an Intel Celeron N2840 dual-core processor 2.16GHz (with Max Turbo Speed of 2.58GHz), 4GB DDR3L SDRAM, and 500GB SATA hard drive. 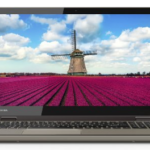 It highlights a 15.6″ HD WLED-backlit touchscreen display with 1366 x 768 resolution, Intel HD graphics, SuperMulti DVD burner, 10/100Base-T Ethernet, 802.11b/g/n Wireless LAN, VGA webcam with integrated digital microphone, Multi-format digital media card reader, and 3-cell lithium-ion polymer battery. 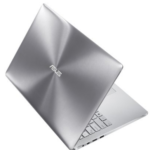 Of course, it has become a hot new released laptop at Amazon (price: $279.73), loads of people are crazy about it, so I think I'd better share it with you guys today. 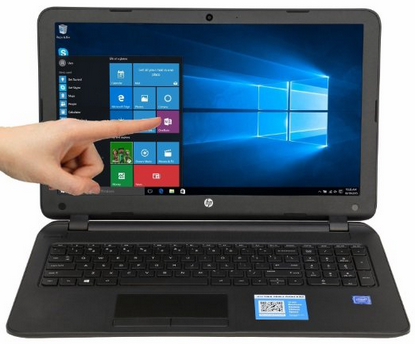 The HP 15-F211WM laptop has 2 x USB 3.0 ports, 1 x USB 2.0 port, 1 x HDMI port, 1 x Ethernet port, 1 x headphone/microphone jack, 1 x DC-in It comes with 1-year limited hardware warranty, so you have nothing to worry about. 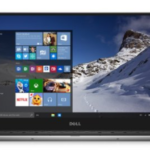 The laptop is running on Windows 10 operating system, which delivers outstanding performance. So if you are looking for a super affordable 15.6″ laptop for daily basic use, I highly recommend the 15-F211WM, it can meet your every need without any problem. 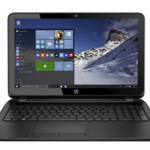 Well, what do you think about the HP 15-F211WM 15.6-Inch Touchscreen Laptop?